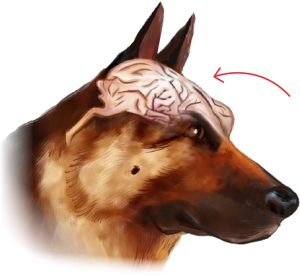 I was asked a while ago how to use positive reinforcement in protection, police, Schutzhund, or other types of sport dog training and this article will teach you how simple it is to use psychology and good dog training and not to rely on corrections or other nasty methods. I hear about a lot of dogs that have trouble dropping a toy, an object, or even the bad guy in protection training! 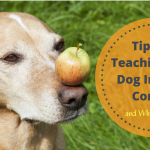 Teaching your dog to spit something out can be tricky! Some people think this is the hardest thing to accomplish in protection work. The problem that most dogs have with “giving something valuable up” to you is that you very rarely ever let him have it again, let him have it again without a lot of work/obedience, or reward him with something better. In the dog’s psychology, he would rather continue to possess the item than lose it to you. He may not understand that he inevitably doesn’t have much of a choice but to give it up! So the dog tries to run with the object or lock his jaws on it tighter! Even though he wants to be obedient to your commands, he may be conflicted. What you want is to alleviate the conflict from the situation. Conflict creates anxiety and anxiety often breaks down obedience commands and good behaviors. 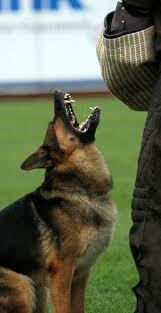 Corrections and pain increase anxiety and therefore can often make the dog latch on harder and refuse to release. If you haven’t read my article on compulsion training please do so and you can find it here . 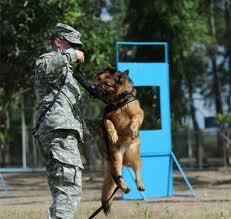 Working as a positive reinforcement trainer in the protection training world I see this time and time again. A shock collar is applied and often misused and the dog learns to tolerate and desensitize himself to the shock driving in harder and harder and then the trainer is left with a dog that is uncontrollable. I have also seen dogs picked up off of the object or the bite, but the fact is that this type of training often increases the drive and intensity and frustration for the object, not to mention it is horrific to witness much less consider doing to your dog! My dogs have almost perfect OUTS; Why? Because I have taught them since they were very young that when I say OUT (which by the way is different than “Leave It”) they will receive an equal or better reward for doing so. This awareness that the reward will always come alleviates the conflict in the command. When they are puppies I teach them by utilizing two of the same toys, and when toy number one is dropped I tell the puppy what he is doing “OUT” or “drop it” and I throw toy number two almost immediately! Listening and doing what I want and ask equals almost instant satisfaction. Don’t use the command prior to the action, say the command as he is spitting it out and once he is doing it quite reliably you may give the command and wait for the behavior. Instead of worrying that I am not going to reward him he KNOWS that by doing what I ask he will get what he wants. I begin with this as a controlled game so that I am not taking away high value items (perhaps my shoes) and not giving them back. I am controlling the situation by making sure my puppies or even adult dogs learn this in the context of a game. Games are fun! The definition of a game is an activity engaged in for diversion or amusement. Games should be based around FUN, FUN, FUN with little obedience at first. 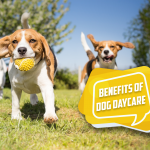 As the game develops more and more obedience comes into play, but because of the positive reinforcement and dependability on the consistency of the reinforcer it eliminates conflict on the dog’s part. 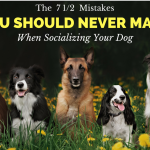 Your dog doesn’t have to be conflicted or worry that he isn’t going to get his toy, he KNOWS he will get his toy, tug, or bite if not right away, eventually when he does what you want and obeys your commands. 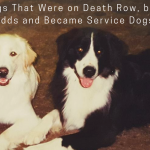 When you are done with the game, you will allow your dog or puppy to take the object to his crate or his water dish and when he releases it on his own you will calmly take it with no objection or serious issue. This allows him to win the toy, so again there is no conflict for your dog. Such toys will only be used for training and should not be allowed to be grabbed or played with without you! necessarily want him to come to you and immediately spit out the tug toy or to release the grip of the sleeve the moment the pressure is gone. Some possessiveness is required in these types of sports. If you are not involved in these sports I do not recommend this type of play! To teach him to hold on, reach down and playfully try to take it away from him! This act of trying to whisk his toy away will kick in his possessive drive and he will grip down harder on the toy; this is why trying to force the toy away from him will only make him more possessive! Because this holding on is what you are trying to teach him, praise him for keeping the toy in his mouth and if he did accidentally release it or let it slip out of his mouth, tease him for a moment moving it fast before letting him finally grab it, then again try to playfully whip it out of his mouth. He will quickly learn to hold on until told to release. Then ask him to “Drop it” or “OUT” and as soon as he listens throw his other toy for him or allow him to come in and bite his tug. If he doesn’t listen wiggle his toy and pretend you are playing with it until he drops his own toy and wants to engage in your play. You may need to get animated and excited and silly when you are trying to convince him your toy is better! But that is all part of the game and dog training. Owners who simply hold on to toy number 2 and command their dogs to spit out toy number one may be missing the boat. 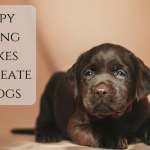 The idea is to show your dog how much fun you are and what kind of exciting things happen when he listens to you. If you are boring, he isn’t going to want to listen to you! I had a friend of a friend over training with me the other day and his dog doesn’t want to listen to the out command because he tries to use the collar to correct her off of the bite. He insists that getting her to drop it for another exact same toy does not work, but I know it is because he is not making toy number 2 exciting enough for her! Get out of your comfort zone and really play if you need to! Once your dog has conquered these feats and is holding the toy unless you tell him to spit them out, and is spitting the toy out when you ask it is time to recognize and use the OUT command selectively. 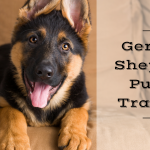 Protection, police, Schutzhund, and other sport dog trainers do not want the dogs to anticipate the OUT command, which means it should not be used very often. You don’t want your dog coming off the bite on his own, he should stick with it until told to release. So most of the time I allow my dogs to win the suit or the sleeve and carry it around; this gives him the satisfaction of winning and gives no conflict. And, when it is time to get him to OUT on command, I want him to know that if he does it he will get another bite and then win the object, suit or sleeve. This lessens the conflict and he learns to listen. 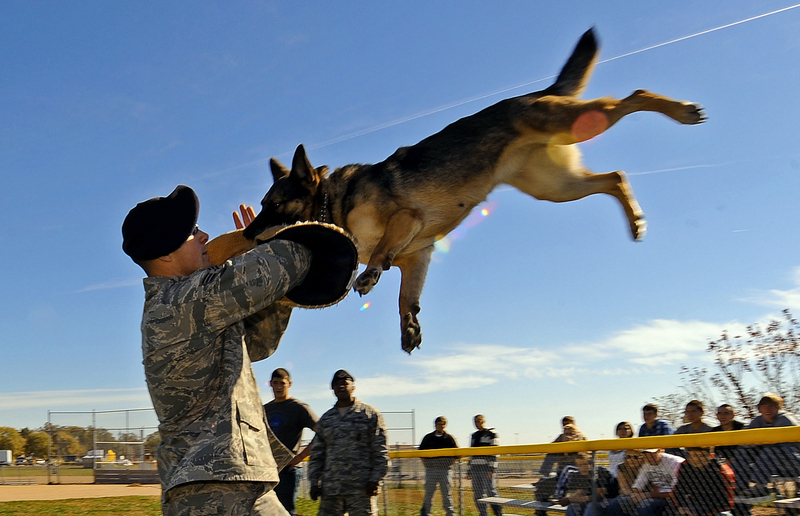 As your dog gets better and better and comes along in his training the delay of the reinforcement “the bite” will be acceptable because he has more control and understands the game. I don’t have to use force or electric collars on my dogs, they know that if they listen to me there will be no conflict and I will give them ultimately what they want! It is a simple relationship that I strengthen with each training session! I love this…This is what I was looking for…I have a Beauceron she is highly inelegant but can be very stubborn…I got her from a rescue when she was about 15 mo. old…she had little if any training but has adapted very well…Now the problem I have with her is she get so excited she forgets what she’s suppose to be doing… she knows but just looses it any suggestions?? Lots of conditioning and positive reinforcement, if you think she doesn’t understand then keep working, if you think she is ignoring you…then take her in and stop working or rewarding immediately and she will learn! Make sure your tone of voice is not high and excited!!!! They feed off your tone of voice and your body language. You be quiet and calm in your reactions and she will do the same. May take a little while to calm her down since she has developed this response because she has to “un-learn” that response. I have an American Bulldog, she is 9 mnths and 75lbs. She would NOT drop the ball untill I got two. As she brought one to me she saw the other one and with some coaksing she dropped the one she had in her mouth. Now as soon as she sees the other one she drops the one in her mouth. Soon I will not have to have two balls, she will know I intend to throw the one she has. Awesome-thank you for the tip. We have a 4year old German Sheppard, and every time I get ready to take her out for our walk we have an exibition of hysteria, high pitched barking, leaping about,etc. Then waiting at the gate often for 5 to 10 minits for her to calm down with her lead on, after some semblance on calm has come we open the gate and pass through, waiting to close the gate befor continuing, again at this point we have histeria and no control of comportment, it takes a long while for her to walk calmly at my side without the excitment and virtually never relaxed. I have tried all I know to try and control this behaviour however I am at a loss as to what is the cause, because if I knew what was causing the problem I could take steps to rectification. The difference between being on a lead and free is astounding, off lead she good, comes when called, does’nt bother other dogs or poeple,sit, lie down at a distance, wait to order, etc. but it is very difficult to get her to walk to heel without a lead and when we go out as a pack, my wife and 3 other dogs she is continually making sure we are all about. I would be very grateful if you could give me some ideas on how to correct this behavior. You have to make the leash so common place that it begins to mean nothing to her. 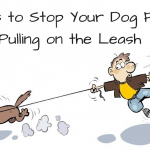 Put the leash on her first thing in morning and let her drag it around do not take her outside or on a walk. If you decide to take her the leash is already on and by this time she should not be excited. If she gets excited at the gate, turn around and come back in the house. Do not take her for a walk until she is calm. Calm behavior should be what is rewarded! Excitement and screaming gets her nothing. Sometimes dogs think they have to put themselves in this mindset before they get something special. 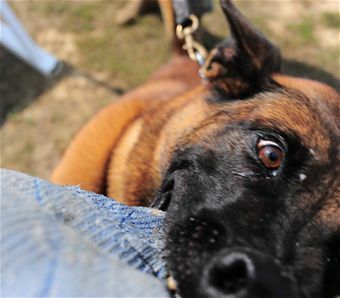 I have seen and worked with police dogs that were rewarded for screaming with their goal (the bite sleeve or suit) so they begin to think that screaming is a step toward what they want. 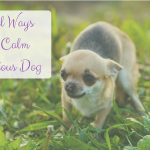 Instead, you want to teach them calm behaviors are what gets them what they desire. Any screaming or spinning or leaping will only vanquish their desires. Be strong, it may take a few days to get her out again on a walk and don’t give in!! If you give in you are teaching her that you like the behavior. If you HAVE to walk her and she isn’t getting the idea, put her in the car (provided that doesn’t illicit the same behavior and drive her somewhere for a walk. 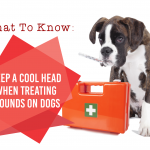 Also teach her some calming behaviors around the house like giving you eye contact and obeying regular obedience commands. What if you are working a Police Dog and you attempt to give him another toy in return for the OUT, but the K-9 has no interest in the toy. I have even attempted to use another sleeve for a reward, but he does not want to leave the decoy. After 9 or 10 commands the K-9 will let go, but has no desire to play.. just stares at the decoy waiting for him to move or another command. Any Ideas? Work on more capping and control away from the decoy. How old is the dog and is it an import? A lot of imported dogs are taught to bite but not taught control. And, I love imports but control is important too! Work on having the decoy 25 feet away and see if the dog will give you eye contact instead of staring at the decoy. Then reward with a toy. Build his drive for the toy and work on having him down, stay and sit etc. as well as give you eye contact to learn to cap his drive. He learns that working for you is crucial and he builds drive for the toy. Then go back and work on the outs with a decoy. Make sure the decoy is still and gives little to no fight especially once you are outing. Dogs like this don’t need to be built up and fought and screamed at and escalated because then they lose the minds and focus. As they learn control and outing then you can add harsher decoying, but in the beginning make the decoy almost boring. I am certain (at least it sounds like) you are having no problem getting him to bite so the decoy doesn’t need to build him up he need to help you cap his drive and learn to use it to your advantage. And try not to choke him off, this also builds crazy drive and frustration 🙂 Good luck! I have a gundog. She has lots of drive and enthusiasm. Her problem is giving up the dummy. If I offer treats she spits out the dummy rather than holding until I take it. Any other ideas? I read the article. I have 18 month old German shepherd patrol dog. He outs his balls when I throw it comes to me and outs on command. He won’t out the tug if I am holding it or the decoy for anything. Tug will out if I throw it or back tie him I don’t use the collar . Is this a loss cause or should I just continue training and hope he gets it as he matures?? Are you using two of the exact same tugs? And, you shouldn’t be holding the tug and asking him to out. By you holding the toy it becomes a game of tug. I use two of the same tugs. Sometimes I want my dog to hold the article, so I play tug and get him to regrip or come in harder. Sometimes I want him to out. When I tell him to OUT the first one, I begin playing with the second tug until he is interested and spits out the first. I have an 8 yo blue heeled/boarder collie. What would you recommend for the dog not to attack the chickens or go in a frenzy running around the pen? No toy or food seems better than a noisy flapping chicken? Put the dog on a leash and teach him your expectations through obedience. this process works beautifully with my dog during exercise time at the park where he retrieves and brings it back, dropping it immediately IF I have 2 balls. But if there is only 1 ball he will for a while stop and chew before letting it go. How do I get over that? I have an 11 month old Aussie who has never played tug. He only chases balls, then plays with them on his own, like a fox or a cat. He’ll chase after the ball I’ve thrown, then pick it up and toss it in the air and pounce on it, throw it again, etc. He does this a few times, then lays down. How do I get him to return the toy to me in the first place so I can teach him to drop it? He likes when I throw it, but not enough to bring it back. I do plan to make a flirt pole, so we’ll work on his drive to play that way in the meantime.